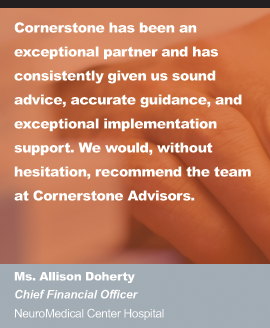 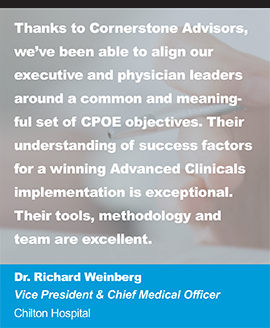 Cornerstone Advisors Group, LLC has established a Charitable Organization, Cornerstone CAres, to enable the company and its associates to give back “in a meaningful way” to their clients and/or their client’s patients or community. 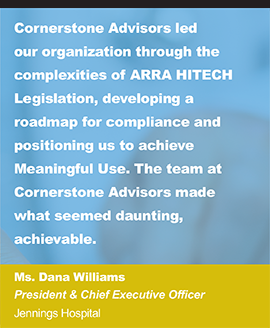 The initiative surfaced as an imperative at Cornerstone’s annual company retreat, CAnnection 2012, this last October. 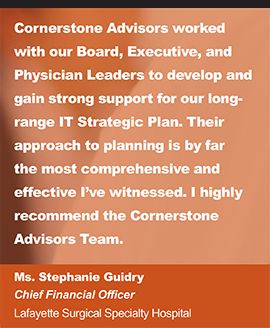 The program is funded through the personal contributions of Cornerstone Associates as well as a matching company contribution. 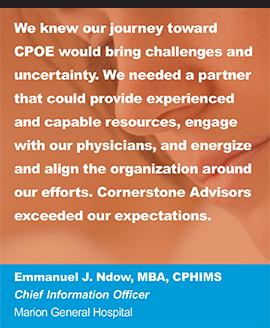 The program is intended to offer support to a select client, their patients, or their community once a year. 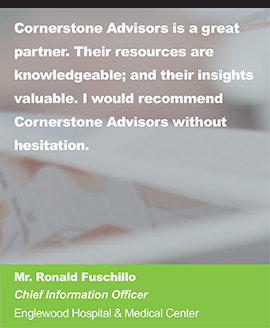 Hurricane Sandy presented Cornerstone with an immediate opportunity to put the program to work. 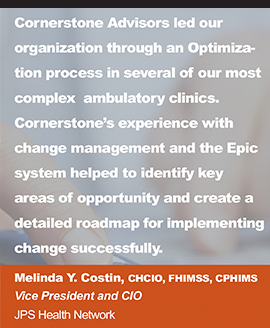 Chilton Hospital, a long-term, valued client of Cornerstone Advisors located in Pompton Plains, NJ, and their employees were severely impacted by the storm. 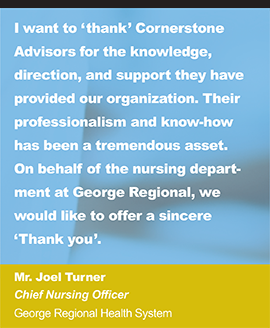 “The employees of Chilton Hospital are grateful for the extraordinary generosity shown by the professionals at Cornerstone Advisors through its Cornerstone CAres program. 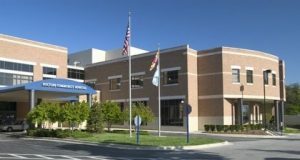 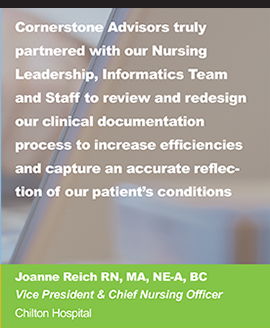 The willingness of a business partner to express such sincere and genuine support for a client is most unusual and enormously appreciated,” says Mark Lederman, Vice President & Chief Information Officer at Chilton Hospital. 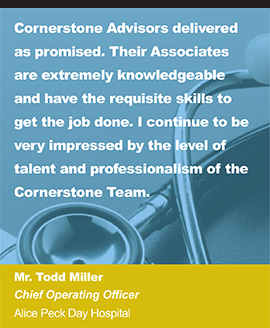 “It is rewarding to see the commitment and compassion our Associates display toward their work, our clients, and our industry; and to witness such a strong desire to ‘give back’ to our professional community,” says Keith Ryan, Managing Principal of Cornerstone Advisors.